It's been my favorite month of the year for almost a week already, but I couldn't let it get by without celebrating it with all of you! October is always a fun month for me. It starts with my birthday and includes trips to the pumpkin patch, corn maze and nights of trick-or-treating. This month has already been filled with a trip to Philly, concerts, a hockey game and a soggy farm crawl. I hope to squeeze in some more activities if our weather will cooperate. I know the month is going to fly by either way! On my birthday wish list this year is Amazon's new Fire TV Recast, a Ring doorbell and lots of books . I have made it a tradition to celebrate my birthday month with all of you and we are going to do it again this year! As a thank you for stopping by and reading I'm personally sponsoring a cash giveaway so that you can put it towards something on your own wish list. 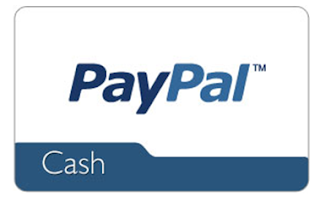 The Giveaway: One lucky reader will win $100 cash via PayPal! Enter using the rafflecopter form below. The giveaway will end on November 5th. Be sure to stop by daily to collect your extra entries. Good luck and thanks for stopping by! Disclosure: This giveaway is sponsored by Confessions of a Frugal Mind. On my list is a soundbar. I'd like an Amazon Echo. A Ring doorbell is on my list. happy birthday to you. ipad is on my list. I could use a new kindle. I'm still using the very first kindle style they made. Thank you! I have a Keurig coffee maker of my birthday wishlist. First I hope you had a great birthday! The cake looks awesome! I want a watch with a large readable digital number. A new vacuum cleaner is on my wish list. I'd like a new tv. I would love new make up, books, and a Kindle! I would love a new tablet. My son has taken over mine! I would like a new mixer! Happy Birthday! A new smart tv and a new laptop are both on my birthday wishlist. I'd love to have a Roomba! I have a new smart TV on my wish list. New knives is on my wish list. I want an Amazon Echo View 10"
I have a new laptop on my wishlist. I would like an Apple iPad. A new cord & battery for my laptop or new laptop are top on my wishlist followed by a replacement backpack and pair of sneakers. I have a list of old tv shows on dvd to watch - One Day At A Time, Alice, Scarecrow & Mrs King, Hogan's Heroes etc... There's a tv channel in Ontario that plays some and it makes me want to see them again. On my wishlist I have a tv or cash lol. One of the things on my birthday wish list - Where They Found Her: A Novel Hardcover. I would like a weekend getaway with my husband for my birthday wish. I would love an Amazon Alexa! On my wishlist is a Garmin GPS running watch. On my list are more cute fall sweaters! A new laptop is on my wishlist. My wishlist includes a new pair of slippers! I would like to have something to do with diving, not sure what yet. I'd like to go away for a few days this year. A new handbag is on my wish list. I new Kindle is on my wishlist! I have a few books on my wishlist (like all the Kate Daniels ones, October Daye, The Hundred Thousand Kingdoms), and an mp3 player. Those are the main ones. Happy Birthday! On my wishlist is a new desktop computer mine is about to die! I would love some peachskin sheets! A Samsung Gear S2 Smartwatch is on my wish list. I want so many books and you can never go wrong with gifting me sheet masks. I'd love to replace my broken TV. I would love a new sofa for my livingroom. I have a laptop on my wish list. Thanks for the giveaway! On my list are, IPad, Standing Desk and Security Camera System. Beats Solo wireless headphones are on my birthday wish list. A smart TV is on my birthday wish list; maybe next year! Happy birthday!! :D I went to look at the Fire TV Recast & it looks really cool! A reconditioned Vitamix would be on my birthday list. On my list is a cat! You can dream big for your birthday, right? I would love a Nintendo Switch. Thanks for the chance to win! A new garage door would be great. A new laptop is on my wish list! Great list. I loved the The Greatest Showman too and would love the DVD. On my BDAY wish list though is a good quality french press. I have a Multi-Pot 9-1 cooker on my birthday list. Omg, where do I start? I'll keep it short ;) I would love a new flat iron and clothes! Upgrading my hiking/camping gear is always at the top of my Bday list, cheers! I would have clothes and travel on my birthday wishlist. I have some books and DVDs on my wish list. I have cat furniture on my birthday wishlist. My wishlist is dramatically long lol, but it does include a copy of the new book by M.R. Carey coming out in November. Also on my wishlist is a new day planner. A cozy mermaid tail blanket so I'll have ~fin-tastic~ dreams during a mid-day nap. An early birthday wish(it's in january) is to be able to pull off christmas this year, on medical leave from work. Kids both want Instax cameras. I'd love a Google Home. A new juicer is on my list this year. I've started to drink celery juice (and some other juices as well) and am looking forward to a new, more efficient juicer. Other than books, I have a Zeppoli Electric glass tea Kettle on my wishlist! Can I have a wish list for a new car LOL, anyways I wouldn't mind having my Kindle Fire I've always wanted. I'd love a Google Home for my Wife and I to be used mostly in the kitchen! I would love an Alexa Spot. I couldn't find you on GFC and it says that Networked Blogs is discontinued. If you scroll down the page you'll find the follow for GFC. I've removed the Networked Blogs entry from the form. Thanks!! A vacation to somewhere warm! My wishlist has a standing table! Better than sitting when I work! On top of my list is a Himalayan Salt lamp! My wishlist for this year is new boots. My current ones are almost worn through! On my wish list is a paid subscription to Buffer so I can automate my social media posts. What a pain it is right now! Thanks for this giveaway! The Mosser Glass 10" Milk Glass Cake Plate/stand is on my wishlist. Thanks for the chance at this! My birthday is next week, and I was thinking about getting a comfy striped dress off of my Amazon wishlist. I hope you enjoy your birthday! Amazon Prime Subscription is on my wish list so I can enjoy my favorite movies. 57 years old have a house full of kids.having bad times.please god send my family a laptop computer. I have a really long wishlist of alternative/gothic clothing, mainly elegant coats. A new laptop is on my list. One item in my Wishlist is the Gentle Souls by Kenneth Cole Women's Eida Slip On Mule With Block Heel and many other items like books and clothed. My wishlist involves new wood floors and a new kitchen countertop. I would love the soft glam eyeshadow palette. I would love new headphones so I can use at the gym. I am wanting a bike, as I need the exercise and a new laptop. Either would make a great birthday gift. I have a lot of books on my wishlist, but what I'm really hoping to see under the christmas tree this year is a weighted blanket to help me sleep through the night. Happy Birthday! I have some nice wine glasses on my wish list and also a new desk! On my list is The Greatest Showman [Blu-ray] and some outdoor curtains for our pergola so we can enjoy a fire during the cooler months. One thing I have on my birthday wishlist this year is a new laptop. I've had the same one for a very long time now and it has almost reached it's end. On my birthday wish list is some scrapbooking supplies like new gel pens. I also have a few books I would like. My wishlist is mostly books. But I have added some seasons of TV shows that I love as well. I am a food blogger and I would love a new food processor. On my wishlist is the Amazon Prime Subscription! I'd really love the convenience of two-day shipping and access to many of the shows provided by Amazon Prime. Either that, or I've got my eye on a Funko Pop Figure I've wanted to added to my collection. I have a juicer on my wishlist. It's also my birthday this month, and I'm hoping to get a Nintendo Switch. Women's Slip-On Shoes Casual Mesh Walking Sneakers. A blender and printer ink now that I'm back in school. I would love to have a chromebook for myself. I have a tablet but, it would be nice to have something that is portable with a keyboard. I would like to get a new winter coat this year and that would be nice and warm. I would like to get The President is Missing by James Patterson. I really want a fancy perfume - a woman has to have one! On my wishlist is kindle fire. On my wish list is a new laptop. On my wishlist: Cyrola Large Size Real PU Leather High Back Comfortable Gaming Chair with Footrest PC Racing Chair with Lumbar Support Headrest Ergonomic Design. I have a pair of wireless head phones on my wishlist. This year, I want a Razer keyboard and the Tales of Beedle the Bard, illustrated. I would love to have a spa day. On my Amazon wishlist is the Seagate Expansion 2TB Portable External Hard Drive USB 3.0 to back up all my precious computer photos & files! Happy Birthday! A toast with champagne to a nice lady - you. A special gift for me would be home made cards from my kids and a Keurig. I want new fluffy bath towels. I really want a D-Link HD WiFi Security Camera! I am saving up for a new graphics card for my birthday. I want to stream my digital art and games I play so having a good graphics is key. On my wishlist is a new pair of slippers and a new wallet (so I don't have to keep carrying money in ziploc bags or my son's "Legend Of Zelda" lanyard pouch). It's a bigger item but I would LOVE a Cricut! An LG soundbar is on my wishlist. I would like an LG soundbar.